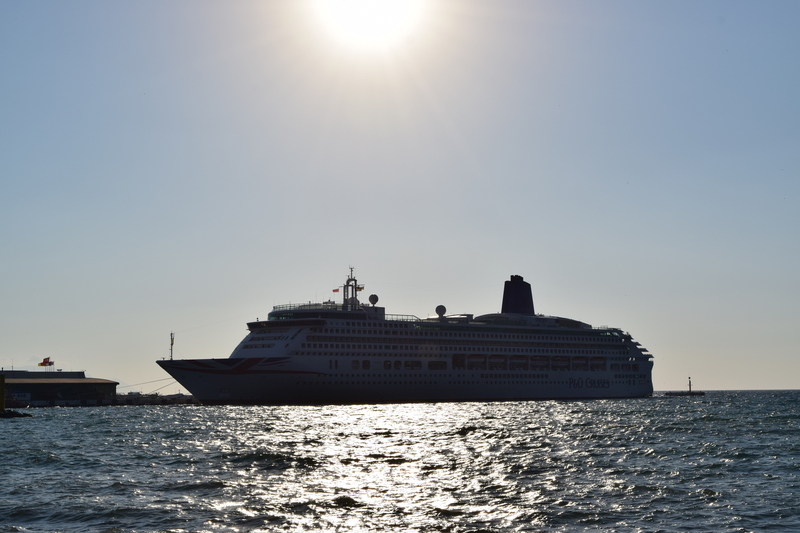 The sun was shining & the sea glistening as we arrived in Kusadasi, Turkey with our shopping list: leather belts, gold chain and glasses. We experienced so much more after meeting Atila, the leather goods shop keeper who became our guide and best friend. He had a persuasive charm that, just like magic, resulted in the buying of 3 leather belts, a leather jacket & a purse. He then introduced us to his friends, the jeweller and the optician. With gold chains in hand, glasses chosen and prescription lenses being made, we were ready for lunch and I wanted fish. 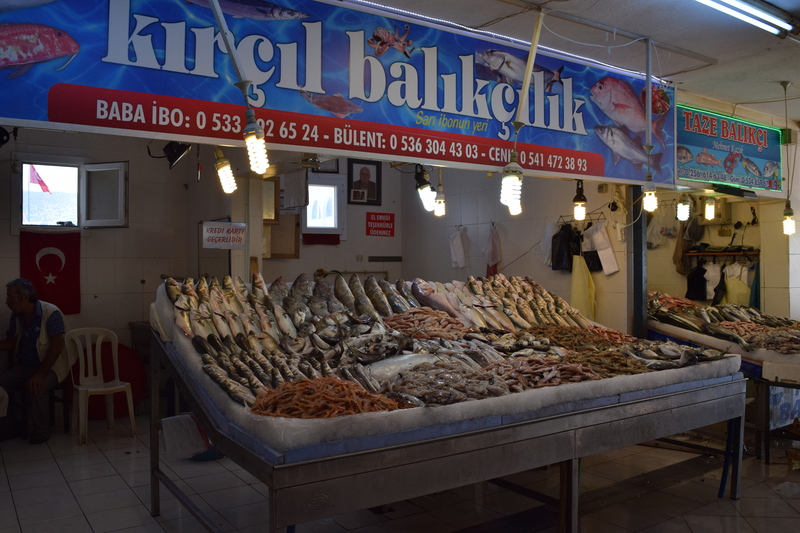 The place to head to was the local fish market. Fish displayed, all glistening and fresh from today’s catch. Right next store a square surrounded by fish restaurants. 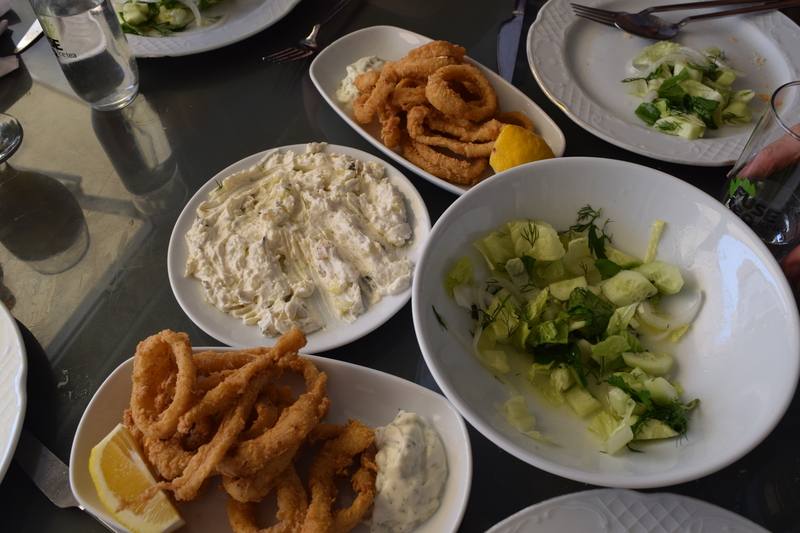 The optician suggested we try the calamari and he was right as a big pile of crispy rings arrived together with cacik (the yoghurt, cucumber, garlic & dill dip), freshly baked bread and a green salad. 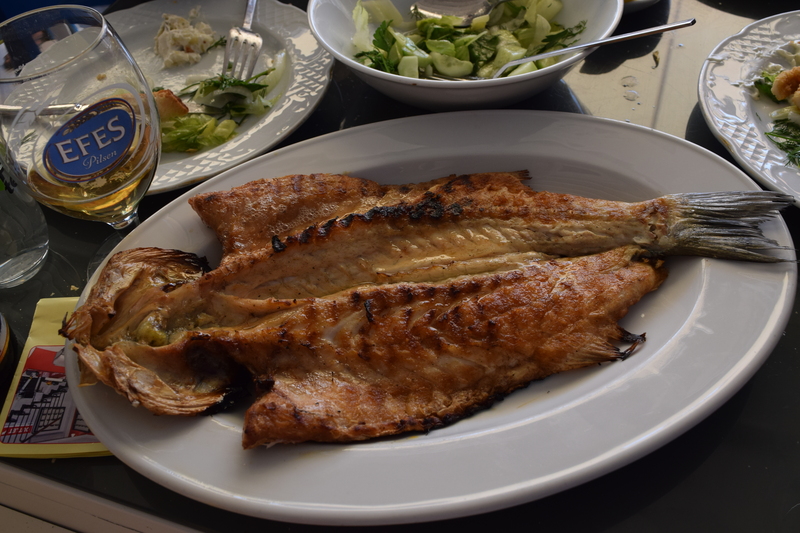 The waiter then showed me the uncooked fish, sea bass or bream. I chose the sea bass and after a quick BBQ it arrived charred with a crispy skin and beautifully moist flesh. 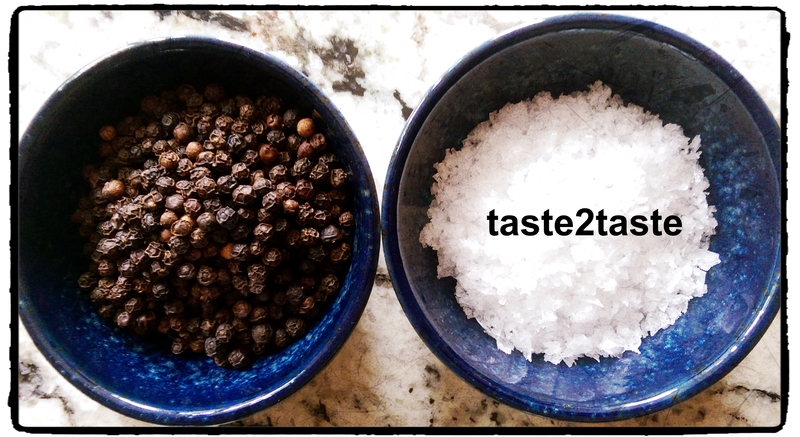 It was a Rick Stein moment, I cannot write too many superlatives, it was absolutely delicious! 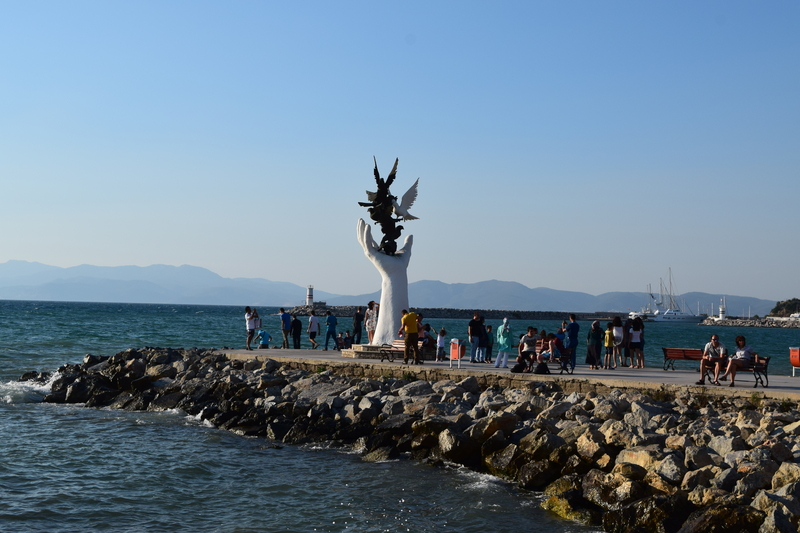 After lunch we walked along the harbour front to the Hand of Peace sculpture before collecting my glasses, and getting back on board, contented that we completed our shopping list, with a few extras. 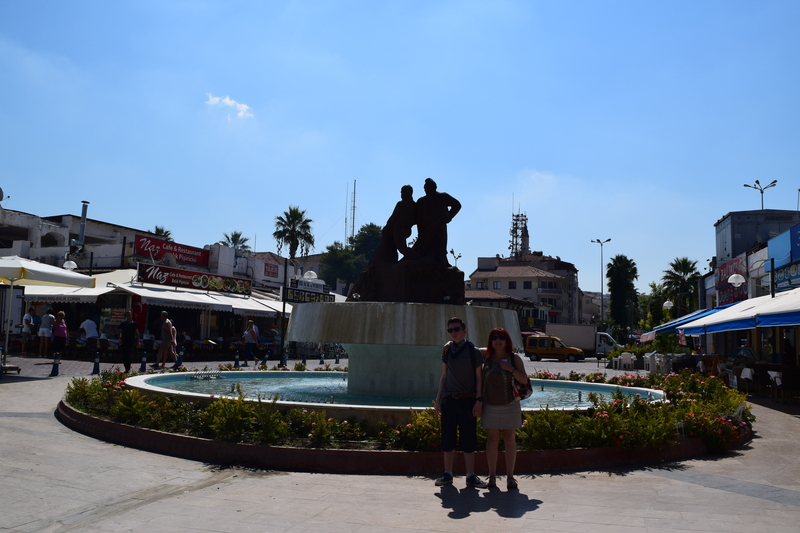 I really enjoyed our day trip to Kusadasi, the people were so friendly and we had some fantastic fish too.